I’m attempting to create some isometric artwork on the iPad but the grid system is throwing me off. I’m snapping to grid but the shape isn’t following the lines. if you can see in the attached images the grid lines seem to move around. Sometimes they don’t even align with themselves and sometimes there’s an extra vertical line appears. The grey shape is apparently snapped to grid (Red lines) in these examples. I’m hoping someone can help me fix this issue. Thanks in advance for any help or advice anyone can offer. I haven’t seen that apart from when I’ve accidentally moved off grid. Have you tried locking the layer to make sure it hasn’t been moved. 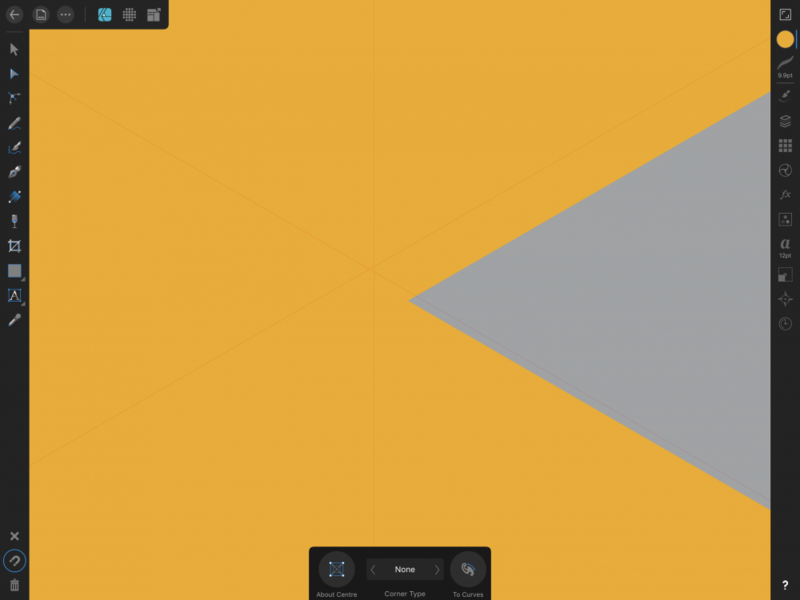 Isometric grid doesn’t have vertical lines, how is your grid configured? How is your snapping configured? To have a grid that large your doc size must be quite small, maybe 300x300 pts? Can you attach your design file to your post for others to look at? I'm seeing the same behaviour. The lines appear to move when zoomed! Snapping on or off, doesn’t matter. Thanks for your quick reply. I’m out all day without the iPad but I know most of the info you’ve asked. My apologies on the confusion, the grid is actually the triangular one. You can see in the images that the vertical line actually misses the crossing point of the diagnol lines on occasion. The grid is actually 256px with 12px increments, I’ve just zoomed in so you can see the problem. 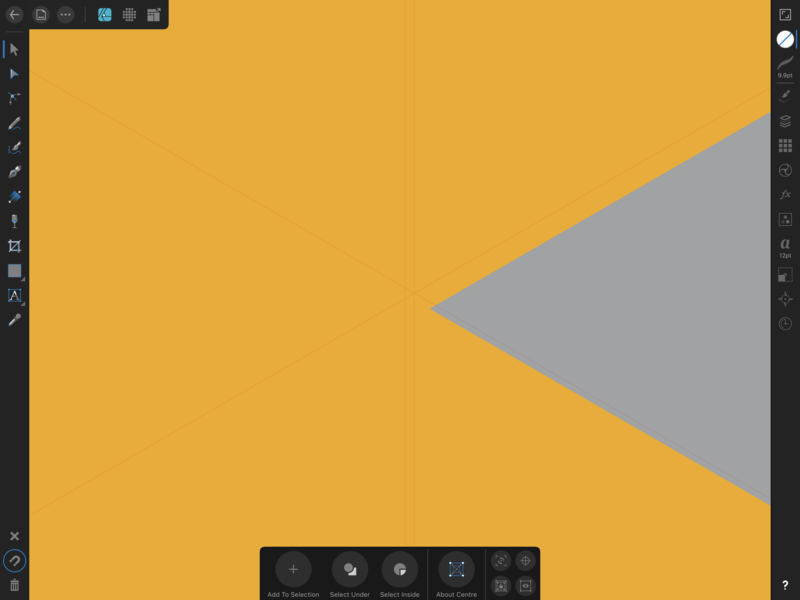 Snap to grid is set alongside most of the other options but I’m pretty sure it’s snapping to this grid and then looks offset when zooming in and out. As above, the doc size is a lot larger, only zoomed in. I don’t remember the dimensions off the top of my head at the moment. Ok now I see it, looks to be a resolution problem with the software that draws the grid to me. The actual grid, which is invisible mathematics behind the scenes, is accurate which can be easily checked in the transform studio by drawing a shape snapping to the grid and then measuring its dimensions. It Is the drawing of the visible grid that has a bug when zoomed in very close. My guess is the draw grid function isn’t using the same high precision maths that’s shapes are using, perhaps for speed reasons. If that is the case I guess they risk slowing down the on screen performance by using the same mathematical precision for drawing the visible grid. My twopeneth as a software engineer for 41 years. i guess Serif will step in now and correct me. Thanks for your report, this is an issue we're aware of and has been logged with our developers to be fixed. I'll update this log with your thread. As PMudditt has mentioned, the grid and snapping is functioning, simply the grid is not being displayed correctly. This can be confirmed by saving a document showing the same issue as yours and opening this on the desktop version of the app. The shape is correctly snapped to the grid and does not appear to 'move' away from the correct point as on the iPad, meaning this is a display issue and not a snapping inconsistency. Chiming in to say I experience this same exact issue on my iPad 6th gen with the latest version of AD.